Elegant castle, characterized by its solid, semi-cylindrical turrets, it has all the characteristics of military constructions of the 14th century, with interesting elements from the alterations made during the 15th century. 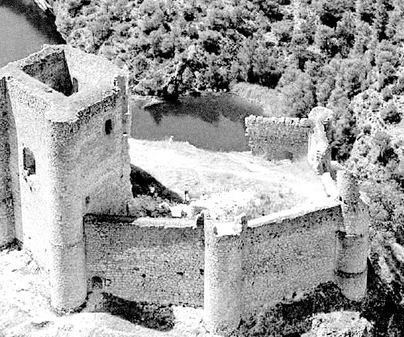 Although, once inside it is difficult to decide which is better worth observing, the fortress or the countryside. 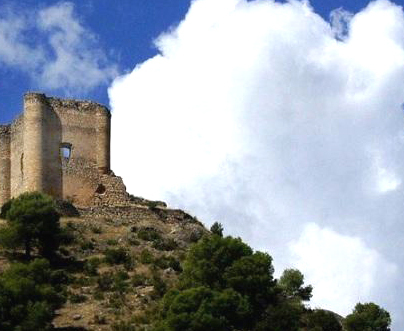 The castle is referred to as“torrejón”(small tower) due to the tower being the fundamental element of its structure. It does not have buttresses, and it is constructed in limestone masonry. The entry gate is raised high, and one would have to access it by a ladder that would be pulled up in case of attack. The pentagonal wall that surrounds it, partly preserved, is from the 15th century, the original being rectangular. The cubes at the corners of the tower are solid, except the one on the North side, which houses a spiral staircase to access the platform. The cisterns are found in the basements, covered by the red mortar used in Muslim constructions, resistant to the effects of the water. 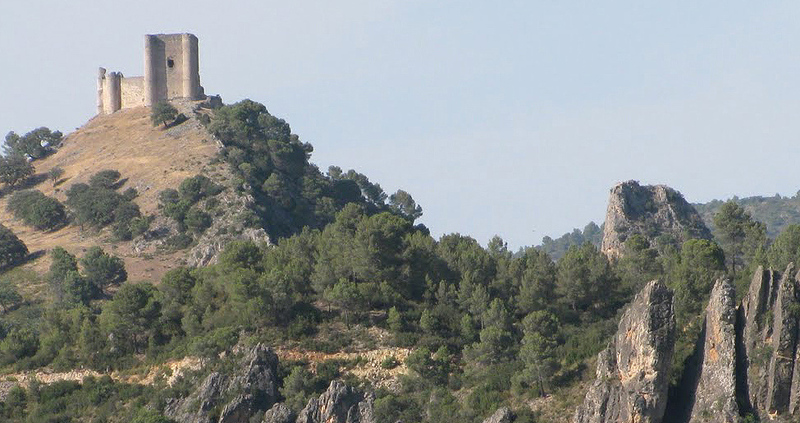 The king Alfonso VI donated these lands to Martín Ordoñez, who built the castle in 1136. His widow donated it to the Order of Calatrava, and by the 14th century it had passed to the village of Huete. 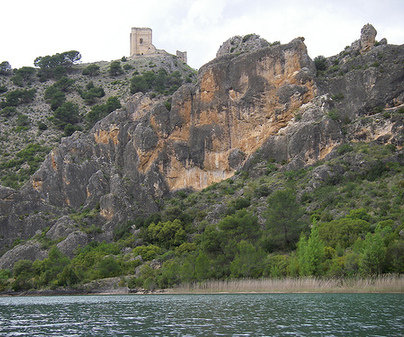 The duke of this village used the castle to aid Juana la Beltranjea, which resulted in defeat and left the fortress very damaged. The Catholic King and Queen allowed their son, Alfonso Carrillo, to maintain the estate. Later it would pass to Count Tendilla, who restored it. Although it was in vain, as it never returned to have military purposes, and with the passing of the centuries it fell into ruin. Currently it is not accessible due to conservation work. When King Pedro I of Castile took control of the castle, he simulated killing his brother, his enemy and contender to the throne, by filling a pine tree with arrows and felling it with axe blows. The event, apparently, occurred in the nearby“cerro del conde”(hillside of the Count).